eBay is running a test in which it displays a message inside listings showing how long it takes the seller to respond to Best Offers. For example: "Seller responds to offers in 1 hour." (It varies, sometimes it's more than 1 hour.) eBay hadn't announced the new feature, and the boards lit up with questions and concerns. One seller suggested eBay add the word "typically" to the message. "As a buyer I would expect a response in 1 hour if I saw that text. I suggest an adjustment to the wording. "Seller typically responds to offers in 1 hour."" An eBay moderator confirmed it was a test, and said "the estimated response time is determined based on a seller's behavior over the past year." You can read more about this in Monday's Newsflash article, along with news of another test in which eBay encourages sellers to lower prices of items that are in buyers' shopping carts. Read the details, and let us know what you think of these two new features. Just more garbage thrown at the wall to see if it sticks.....Ebay is grasping for anything and everything. That said who really cares. I would hope that our response time is 48 hours as we NEVER ACCEPT BEST OFFER ON ANYTHING. Oh goody.....another metric to be measured by, because as we all know, there can never be too many (insert eye roll and my usual eBay directed sarcasm). And before the resident eBay school marm / cheerleader comes on to point it out, I realize that at this stage it is only a test. My best offer is the price listed. Period! They've just given me yet another reason not to offer best offers. And if they ever force this on sellers watch the low ball offers fly. Fine with me. I just decline if the offer is absurd. Mine shows "under one hour". I know some sellers get upset by low-ball offers and just leave them to expire. They could avoid ticking everyone off by allowing sellers to opt-in to these types of test (or all tests). Once again, like the really, really dumb promo banner move, no proactive communication whatsoever. They need to quit treating the at-large pool of sellers as a test bed when sellers' livelyhood is directly impacted. More stupid stuff from los estupidos in San Jose. In the distant past, I tried including best offers, and was offended by (even more) stupid people who offered ten cents on the dollar. I stopped. Despite my not opting in to best offer, I still receive messages from cheapskates offering me ridiculously low prices for quality collectibles, and often their "offers" are worded in such a way to intimate that they are doing me a favor. I HATE stupid people who waste my time and try my patience. (If I want to deal with stupidity, I'll move to the Bronx.) I think that listing best offer indicates desperation to opportunists. While I'm being hateful, I also HATE cheap people! I agree with the seller (referenced in the article) who suggested that the word "typically" be added to eBay's notice. There are always circumstances that arise which will keep sellers from responding immediately. While I always try to respond to a question as quickly as possible, if someone sends me a message at 11:00 p.m. (when I'm already asleep), it's going to be a while before they hear from me. As a conspiracy theorist, I have to wonder if this is some other plan to rid eBay of small sellers. If a seller doesen't respond to a question within a time frame eBay considers acceptable, does that mean the seller's listings are hidden even deeper? As a former eBay buyer, I can see how having a rough timeframe would be helpful. I wouldn't want to waste time making an offer to a seller that never responds to offers. On the other hand, I dread being buried in search for not responding to offers as instantly as eBay wants. Had eBay allowed my business to grow into something, maybe the day job, toy shows, eCrater, Bonanza (LOL not really), and building my own site wouldn't get in the way of that. There are 8-12 hours before answering a question due to 1) Sleep time or 2) You have a job and have to go to work. Then, buyer sent you a message 15 minutes just before you log into your account and you answer it very quickly. This can really create false positive reaction to the response time. I wonder if eBay don't want the response time within an hour and those sellers will be booted out or lower yet on their views. I think eBay thinks that hobby/small/ part-time sellers are at their computer full time like a regular business. Just finished moving my third shop to eCrater and already a sale. I never use ''Best Offer'', so this not apply to me. As @Rexford mentioned, my price is the price. PERIOD! I will decide if the price will be dropped. What hopefully does not happen is that eBay makes BO mandatory on items they deem to be ''Underperforming''. Perhaps this will be included in the April or May Seller Update. Another aspect of this is that Amazon has metrics for customer response time, and sellers are graded by how quickly they get back to a prospective buyer after a question. Since eBay apes Amazon in nearly everything they do, I am surprised that they have not enacted this metric yet. Fast communication is very beneficial for both buyer and seller. buyer question,,,,, does this item include the truck? Or the question " What color is the red sweater in the listing"
Here is something that sellers could actually USE....how about the showing the amount of time it takes a buyer to PAY for the item. The only nonpaying buyers I ever had are those who submit a best offer. I accept and then I wait as there isn't the option of immediate payment. Because of this, all of my sales are BIN with immediate payment required. I don't do best offers. I would be more interested in offering Best Offer if eBay would allow immediate payment. Or they could implement my suggestion above and I can make the decision whether or not to deal with the buyer's offer. So why doesn't ebay display a message inside listings showing what % off the seller usually accepts? Or display a paid ad where the buyer can buy it off ebay? Or how many partial refunds they give? Most online sales portals are trying to figure out how to stop buyers from abandoning their carts, but ebay actively encourages it! I noticed that message displayed on some of my listings. I usually respond quickly to both questions and offers, so I have no problem with the message. Also, I allow offers on most of my fixed price listings. My prices are set higher to allow for a price cut. Ever since I started doing so, my sales have been up. Some people make use of it, others do not. Every buyer has his own preferences. Some love auctions and some only buy fixed price. Oh joy. Another 'innovation' designed for the purpose of appeasing and encouraging the entitled instant gratification generation. Yeah, THAT's what eBay needs to be addressing instead of correcting the uncountable number of sludged up clots in their seller to buyer pipeline. One year they build the flea market image, the next year they want to shred it. Now they want it back again (actually, they were never successful at shredding it). They can be both, just like they can be an auction house and also do fixed price. A couple years ago, with the make offer radio button option working fine, it was a policy violation to use the message system to make offers and it was worded that way, and there was a link in the messages to report abuse. Suddenly the wording was changed to, something like,'you shouldn't but if you do' and the reporting link was gone. Did you know you can set your communications preferences to not allow any messages until someone actually buys something? Mine is set properly and yet I get daily questions, and about 1/2 of them are unsolicited offers. I understand that in many places in the world haggling price in the marketplace is normal and expected. In most of the retail stores in the USA, haggling will get you nowhere. I choose to spend my eBay time, listing, packing, etc and not haggling or explaining to a questioneer that their question is already answered in the item description (which eBay hides in the mobile version). I'm not all that upset about any of this because I've found that it's the lowballers and dummies that cause the most problems after a sale, so nearly all question and all offers lead to a new name on my BBL, and less total headaches. It's like a poker player exposing his cards before he bets. I received an email from eBay saying that x number of items were in buyers carts but they did not complete their purchase. If I agreed to a 5% discount they would email those buyers regarding my new discount. Personally, I liked the marking angle. 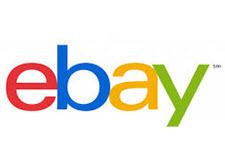 Why doesn't eBay just branch off a separate site where only older, collectible items can be listed and only in the auction format, and using the original search engine used (before Cassini), and where only small and mid-sized sellers can list (based on sales) and just DO IT ALREADY? My response time on BO, for the few times I employ it, is essentially zero, since my accept and decline prices are the same. No waiting ever for a response. Nor do I ever have to see the low-ball offers some folks make.